This week’s #OTalk is about reflecting on our own experiences of health and social care. I wrote a blog post entitled ‘When Occupational Therapy Goes Right‘ for a previous #OTalk with a similar topic a few months ago. When I revisited it today, I realised that I had neglected to reflect on my own experience of services in the post. I’ve used physiotherapy services for several years. Each course of treatment has been with a different physio, and I’ve experienced a variety of approaches as a result. Two physios really stand out in my mind. The first, a specialist physio in the NHS, took time to feed back his assessment to me, explaining the anatomy and physiology behind my presenting complaint and what this could mean in terms of prognosis and self management. Although I’d been seen by several physios before, this was the first time I actually understood what was going on with my body. As my course of treatment came to an end, he explained how I could continue to increase the challenge level of my exercises over time. I still use those handouts, 3 years later. The second physio who made an impression on me worked in private practice. Perhaps unsurprisingly, he offered me a range of treatment options. He gave me information about the evidence base and his clinical reasoning for each option, and I felt like I had a very real say in my treatment plan. This was the first time I felt like a partner, rather than a patient. While he followed our overall plan, he adjusted his treatment each week based on my feedback. With both physios, I valued the time they took to make sure that I was fully informed. By doing so, they moved me from being a patient who was dependent on an ‘expert’ clinician, to an empowered individual, knowing how to manage my own health and what would warrant further input from services. So how has this influenced my practice? These experiences were so different to others I’d had in healthcare, and they’ve made a real impression on me – so much so that I strive to foster those qualities in my own practice wherever I can. Being treated as an individual was a positive experience for me. When the physio took time to understand my unique context and adapted his treatment according to my feedback, I felt understood and treatment was more meaningful. I’ve noticed that, as a clinician, it has become increasingly important for me to be flexible in my approach, listening to my service users and working collaboratively with them to develop plans. I take time to individualise my written care plans, and make sure that each of my service users has a copy of their plan, which we review together regularly. Having opportunities to make choices in my treatment – even if they were about ‘small’ things – was valuable. Part of working collaboratively for me now includes explaining what I can offer as an occupational therapist, and discussing with individuals how they want to use their individual sessions with me. When my physio spoke about the evidence base for his practice, it gave me confidence in his professional judgment and enabled me to make decisions about my own treatment. As a result, it is really important to me that I spend time consuming current research relating to my clinical area and interventions. Rather than taking their professional knowledge for granted, and assuming that I understood (or didn’t need to know), these physios explained their clinical reasoning to me. This was an empowering experience. When I’ve attempted to replicate this in my own work – for example, by explaining some of occupational therapy’s core assumptions and theory and how this relates to the individual I’m working with – this has been received very positively. I’ve realised that this can also be valuable with colleagues, who may understand my role yet not understand the underpinning knowledge/philosophy (and why would they?). Each of my courses of physiotherapy treatment have been short-term, with significant gaps in between. 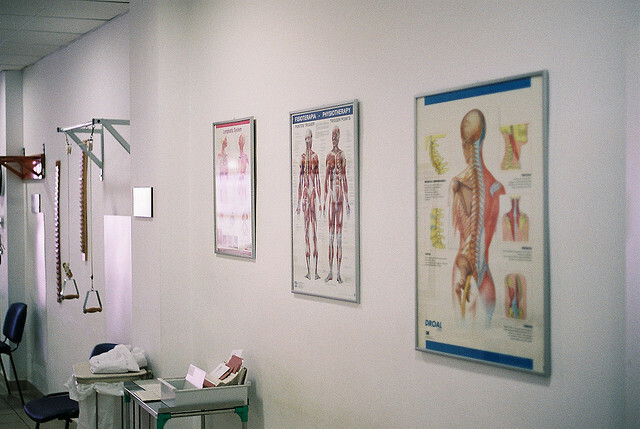 I valued recommendations and resources for managing my health post-physiotherapy. This made me feel more in control and less dependent on an ‘expert’ clinician. In my own practice, it is now important to me that my service users develop skills and tools to ‘be their own occupational therapist’ when they leave my service.